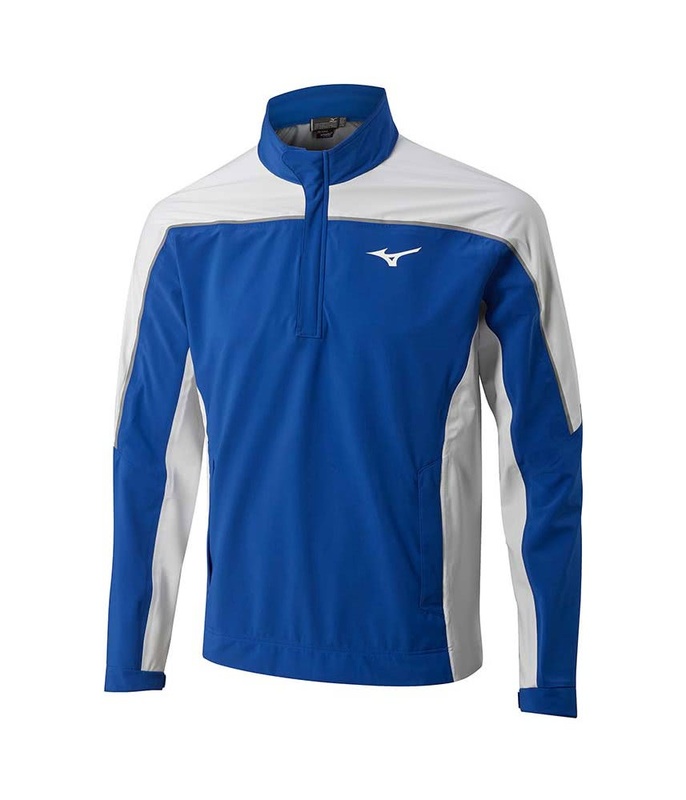 The Mizuno Pro Quarter Zip Rain Jacket has been engineered in association with the Swiss fabric innovator Schoeller to produce the ultimate wet weather collection. 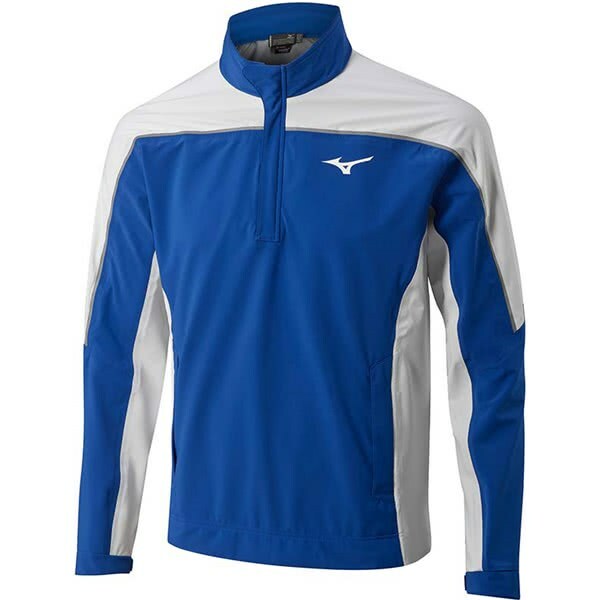 Mizuno have a 3-way stretch fabric which features wipe dry waterproofing for incredible performance gains in bad weather. 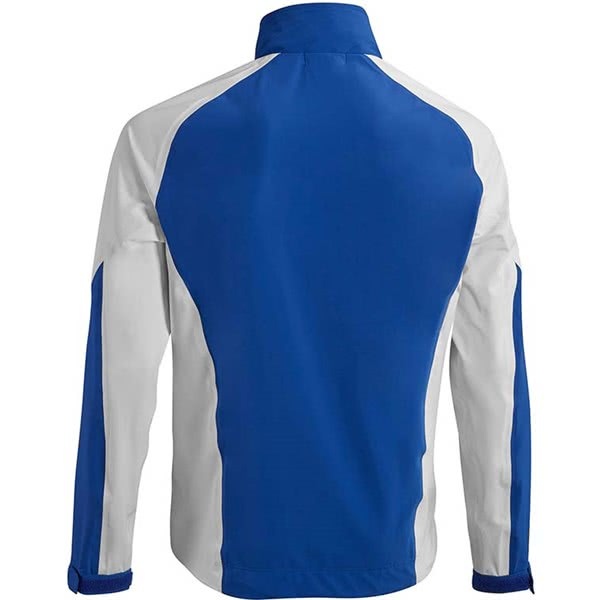 The stretch fabric provides excellent movement and mobility when you need to wear an extra layer. The Pro Quarter Zip Rain Jacket features an intelligent membrane that will adjust heat retention depending on the conditions that you are playing in. When you start to feel cold the jacket will generate and retain more heat and vice versa when you start to feel too warm. For the ultimate coverage and comfort the quarter zip design features a high neck design with a chin guard. 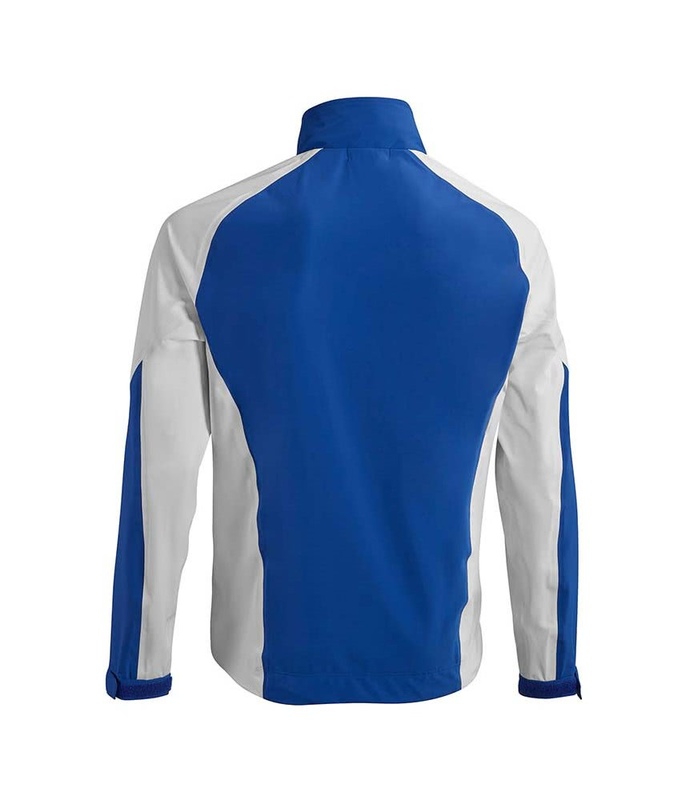 When the weather is cold and wet it keeps you fully protected and when the sun starts to shine the zip is a great way of getting ventilation. Velcro sleeve ends allow you to tailor the fit so that when you are swinging the club the sleeves do not hinder movement.